In Glasgow West End there is a fantastic range of shops, salons, chemists, hairdressers, parlours, pools and gyms. I want to tell you about some of the best places to go to if you want to pamper and indulge yourself, treat your friends, de-stress, cure that cough or find that feelgood factor. Paul Rutherford is a personal trainer and much more. He will design an individual training progamme specially for you, provide nutritional advice and motivate you to achieve your goals. Two or three, one to one sessions a week in his specially designed private gym will help you tone up, lose weight, gain confidence and increase feelings of well being. With over twenty years experience in sport and fitness training his knowledge of technique and what works for each person is exceptional. He has built a sound reputation in his field and is an outstanding motivator with success stories galore. Learn to swim for your summer holiday. Parent and Child Classes. Learn to swim at the Arlington Bath Club with the William Young Swim School. The Swim School will take place at the Arlington every Friday afternoon, with group or individual lessons available to all. Including non-members. QM Eye Opticians is the place for you if you fancy something a little different – this is the, ‘not on the High Street option‘. Vintage, retro and modern quality eyewear. Extensive range of stockists including Bevel, Ginvenchy, Lanvin, Nike, Oliver Peoples and Modo. If you want to find information, support and practical help or would just like someone to talk to, come along to one Macmillan Information and Support Services. You can talk through issues and concerns with staff and trained volunteers. Hillhead Library every Wednesday (11am – 3pm) and Partick Library every Saturday (10am – 2pm). Currie and Quirk – more information. Needing new spectacles or an eye examination then – Scott Currie and Gordon Quirk, qualified Dispensing Opticians with over 20 years experience in eye care, offer excellent service. The highest level of care and personal attention with friendly professional advice. A gentle and effective method of exercise that lengthens and strengthens muscle, releases tension from the neck and lower back, and promotes correct alignment. Based on the principles of classical ballet, Floor Barre ® is designed to work for bodies of all ages, office workers, athletes, dancers and the exercise-phobic. Mats are provided. Please wear socks, a t-shirt and yoga pants/tracksuit bottoms or leggings (nothing too baggy). Please email me with any queries. Book 5 classes and get your 6th class free. Trainer, Business & Personal Coach, Hypnotherapist, Carol is passionate about empowering people to overcome fears and become proactive in getting the life they want now. A believer in life long learning, Carol is a qualified and licensed Hypnotherapist, NLP (Neuro-Linguistic Programming) Life Coach and a Reiki Teaching Master. Carol offers one to one consultations and in-house personal development training to groups within organisations; she can tailor courses to suit your specific needs. Until the end of August, if you book as a result of seeing this post, you can pay for 2 sessions in the privacy of your own home and get a 3rd Free. Sessions cost £45 each with an extra introductory consultation included, adherence to client confidentiality is always maintained. 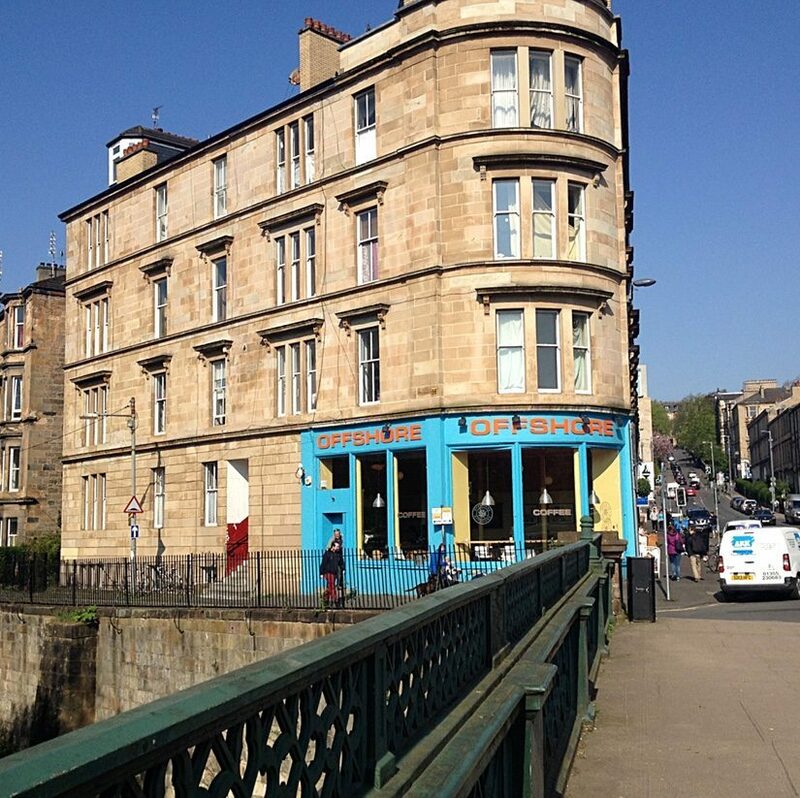 Situated conveniently in the hub of the West End in the middle of Byres Road, the dental practice provides a comprehensive range of dental services. It also offers a pleasant experience with friendly and helpful staff available to greet you and deal with your enquires. Your dental needs will be listened to carefully and a treatment plan drawn up to suit your requirements. Above all else – Our aim is to ensure that you leave smiling! Jacqueline Smith has been a qualified professional Homœopath for fourteen years since graduating from The Scottish College of Homœopathy with a Distinction in 1997. She then, in 1999 and 2004, studied in Greece with world renowned homœopath, George Vithoulkas. In 2007, Jacqueline under- took an advanced course at The Bengal Allen Medical Institute in Kolkata, India gaining a Postgraduate Certificate in Homoeopathic Therapeutics. She is a member of the Alliance of Registered Homeopaths. Also on offer are Usui Reiki Sessions to complement your Homœopathic Treatment or have a course of sessions using the relaxing and gentle application of Universal Energy. Also available: Meditation Instruction for groups of six or more. Mireille Eustace (known as Rae) is qualified in a wide range of complementary therapies, which she offers at Napier’s in Cresswell Street, Glasgow West End, where she has worked since it opened in 2000. Rae has built up a loyal following of clients and offers and extensive range of therapies. 405 Great Western Road, Kelvinbridge, Glasgow G4 9HY. MultiPharmacy.com and Park Road Pharmacy proudly serving the community and bringing the pharmacy home. Very conveniently located near Kelvinbridge Underground, Park Road Pharmacy wins the West End prize for the most helpful neighbourhood pharmacy. Virinder Jandoo, the charming owner of this independent shop, and his staff, provide a very flexible and friendly service with an emphasis on customer care. The shop offers an excellent dispensing service and also has an attractive range of alternative remedies, toiletries, and beauty products. So you can sort out that cold and pick up all your other health care requirements in one go. Opening Hours: 9.00 – 7.00 p.m. Monday – Friday and 9.00 – 6.00 p.m. Saturday.9.00 – 5.00 p.m.
Tel:0141 339 5979, Fax: 0141 337 6900. Now you can order pharmacy and health products 24 hours a day, 7 days a week and have the items delivered to your home or work. Do you need someone reliable to ease that stress, free up your time anake life more pleasant. Telephone 0141 237 1061 for further details. The oldest surviving swimming club in Britain – founded in 1870. A West End institution, the club has a 21 metre long pool, a sauna, Turkish baths and a gymnasium. There are a number of services available including: massage, chiropody and reflexology. Treatments are carried out personally by Dr Patricia Finlay in covenient locations in Glasgow’s West End, Southside and Fife. The Byres Road Dental Practice, 175 Byres Road Glasgow 12 and in Jennifer’s Beauty Salon Pittenweem,Fife. It’s never been so easy to to achieve a relaxed and rejuvenated facial appearance without surgery. Winston has been my hairdresser off and on since I was 17. These days it’s good to have him very handily situated in Glasgow’s West End; after some extensive travelling and working in a variety of places including Japan, Holland and New York. Along the way he has had some very interesting experiences and worked with some well kent clients including celebrities such as Lulu and Elizabeth Taylor. Previously he has had salons on Great Western Road and Otago Street; now you can have your hair expertly cut and colourd Winston in a little salon he has set up in his West End home. Ring for an appointment: 0141 334 5749. Our technicians are trained by dentists and offer advice before and after your procedure. We come to your home and with no costly rental rates for clinics the cost is very affordable. Most clients experience an average of shades between 10 – 12 times whiter after their first procedure. Established by the Victorians in the 1870’s, the Western Baths is held in great affection by Westenders and ex-members all over the world. Open to members and non-members there is lots on offer. There is a 27 metre pool over which two trapezes are suspended. Other facilities include: a gym, sportshall,dance studio, sauna, Turkish suite and there’s also a members’ bar and a creche.